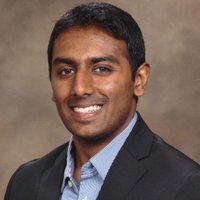 Shyam graduated from UC Berkeley in May 2015 with a degree in Electrical Engineering and Computer Science, with a Public Policy Minor. He is currently working at Apple in a rotational engineering program, where he will take on roles ranging from software engineering to technical project management. He has worked with various non-profits in the social sector for the past 5 years (most notably with Habitat for Humanity and Project Happiness), and these two organizations embody the topics that most interest him in the social sector - homelessness and mental health. He is an avid San Francisco 49ers fan as well as a Warriors fan. He also closely follow professional tennis, and Roger Federer is his idol. Apart from sports, he really loves taking his dog Louie on walks, cooking, and reading (his favorite book to date is The White Tiger). ​Josh graduated from U.C. Berkeley in 2015 as a Business Evolution & Behavior (a self-created interdisciplinary major between business administration, economics, and sociology) and an Industrial Engineering minor. 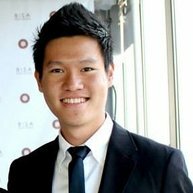 He currently works as a Product Analyst at LeadQual, a cross-channel sales acceleration agency, in Emeryville. Having led a nonprofit during his undergraduate career, Josh's interest in data science stems from his work with it in his nonprofit (and his love for advanced sports statistics!). This led him to take up different data analytics positions within the grocery, data integration, and now search industry. Having come full circle, Josh is inspired to bring his background to Delta in order to utilize his data background for social good. In his spare time, Josh is also a startup enthusiast, sports fanatic, musician, hiker, and reader. 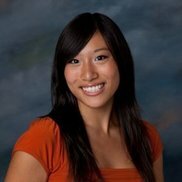 Sherry Jiang is a Bay Area native who studied at UC Berkeley with degrees in Business Administration and Political Economy. She recently moved back to California to work at Google in their Global Strategy & Operations team as an Associate Product Marketing Manager. Prior to Google, Sherry lived in Seattle for a year and a half in Seattle working as a Business Analyst for Amazon in their marketplace organization, conducting analytical deep dives into pricing, inventory and selection data to improve the seller platform. In her free time, she loves exploring new restaurants, attending music festivals and running. Ben Bedore is a Midwestern transplant living in the Bay Area for the past three years. He recently started a new job at Intuitive Surgical as a Product Operations FP&A Manager and is building a new team to conduct data analytics on manufacturing and R&D to improve efficiency. 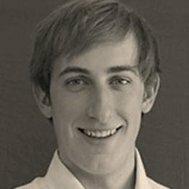 Prior to Intuitive, Ben worked in strategy and economic consulting at Analysis Group. Ben went to school at Carleton College, where he studied economics and captained the swim and dive teams. Outside of work, you can find Ben playing kubb in Golden Gate Park, eating burritos in the Mission, and cheering on the Green Bay Packers every Sunday. 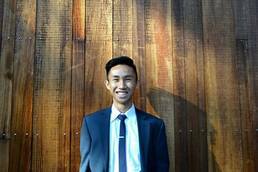 Winarto graduated from UC Berkeley in 2015 with a BA in Statistics and a minor in Computer Science. While in college, he was part of The Berkeley Group, offering pro-bono management consulting services to nonprofits in the Bay Area. He is now an analyst at Cornerstone Research, an economic consulting firm, and was excited to find Delta at the intersection of data and the social sector. He is especially interested in microfinance, improving access to education, and the poverty alleviation space. In his free time, he enjoys bowling, trading, and exploring new places for good food. ​Andrew hails from Lexington, Massachussetts and graduated from Amherst college in 2014. He is currently a second year analyst at Cornerstone Research, an economics consulting firm. After growing up in Alberta, Canada, Ryan graduated from Cornell University in 2013 and is now a first year student at Yale Law School. ​Andrew and Ryan both believe that young people can leverage their skills to help better the world. In addition to having both served as head of the philanthropy and outreach program at Cornerstone's New York office, Andrew and Ryan also worked as tutors for Minds Matter, a non-profit which prepares inner-city high school students for college. Andrew and Ryan are excited to lead a team of talented and passionate Cornerstone analysts on the Biolite project.